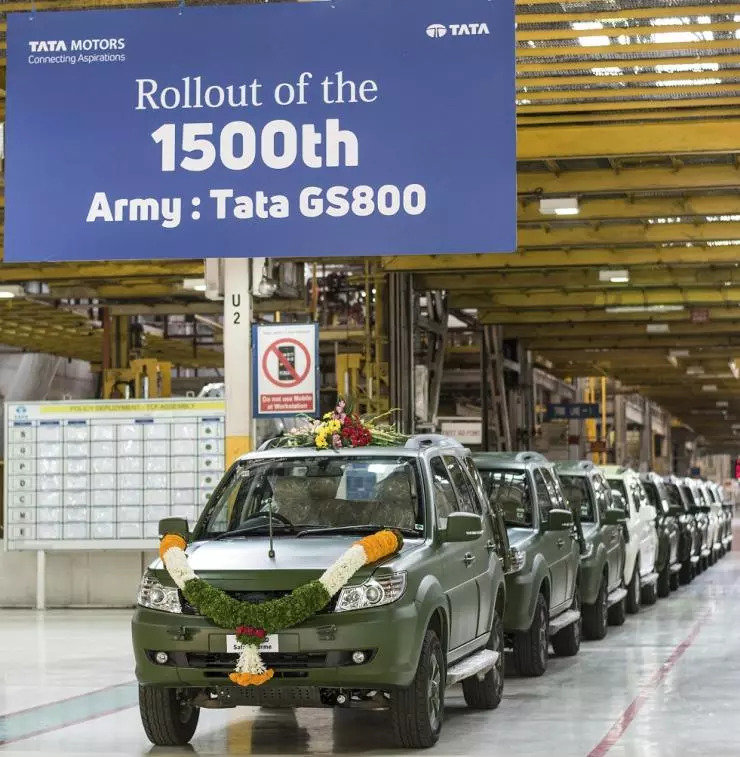 The Storme is replacing the Maruti Gypsy as a personnel carrier for the Indian army, and this is happening at quite a rapid pace considering the fact that Tata has already supplied 1,500 units of the bigger SUV to the Army, in just months of induction. Yes, Tata Motors has just rolled out the 1,500th Safari Storme Army ‘GS800’ edition, meant to be a personnel carrier in the Indian army. The Safari Storme Army Edition has a payload of 800 kilograms, which is much higher than that of the civilian version. The SUV features many other changes specifically meant for the Indian army. It gets a much more comfortable cabin, standard air conditioning and a power steering, a more powerful turbocharged diesel engine and a shift-on-the-fly four-wheel drive system. The Safari Storme GS800 Army Edition is powered by the 2.2-litre Varicor turbocharged diesel engine in the 154 Bhp- 400 Nm state of tune. A 6-speed manual gearbox is standard. This gearbox drives the rear wheels of the SUV while the 4-wheel drive transfer case drives all four wheels of the Safari Storme, both in low and high ranges. Standard features on the Army-spec Safari Storme include ABS, recovery hooks, jerry can mounts and specifically designed fog lamps. To make life easier for army personnel, the SUV also gets bucket seats, a mobile charging point and power windows. It’s built at Tata Motors’ Pimpri factory, near Pune.